We have a new coffee pack available for purchase on our site, and lemme tell ya, it’s a solid line-up. These three brews are great examples of standard-but-excellent coffees from each of their origin countries. Coffees from Mexico are known for having medium body, with a nice balance of dry, acidy fruit flavors (like apple or citrus) and buttery caramel notes. Enhanced by the fertile volcanic soil in which it grows, our honey-processed El Mirador nails the typical Mexican coffee taste profile – then takes it to new heights. 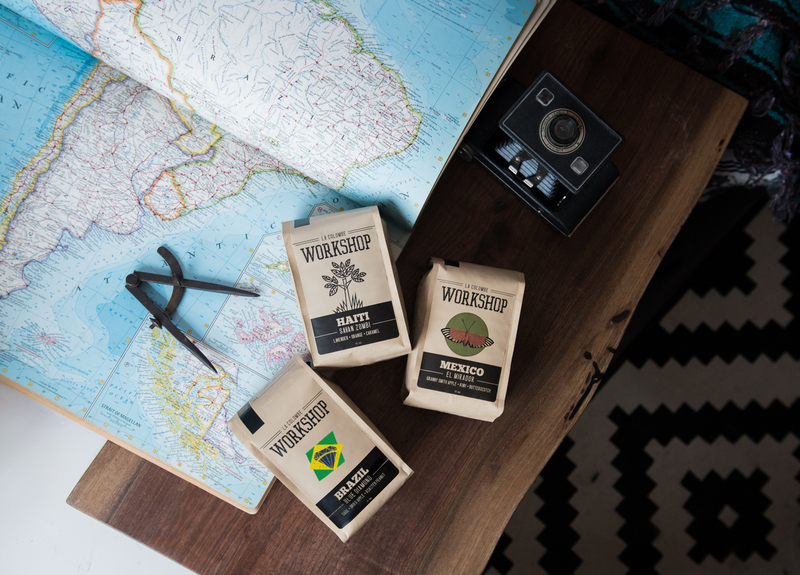 Brazilian coffees are known for a fuller body, with rich chocolate and nut flavors. The catuai variety used for this coffee is a hybrid dwarf plant known for its hardiness as plant and sweetness as a brew. The Blue Diamond is one of our more darkly roasted single-origins, so you can really taste the cocoa and nutty notes. This brew is not an example of typical Haitian coffee – it is a shining example of what Haitian coffee can be and what it is already becoming. After years of declining coffee production and quality, Haitian coffee is experiencing a renaissance that warms our hearts. With all the orange-caramel, sweet brightness of a washed typica, our Savan Zombi is some of the absolute best coffee we’ve tasted out of Haiti in many years. Have questions about how to brew these bad boys? Shoot an email to social@lacolombe.net. Some of my Favorites! Time for another order!